DIY Bridesmaid Proposal Macaron Message! / Hey, EEP! 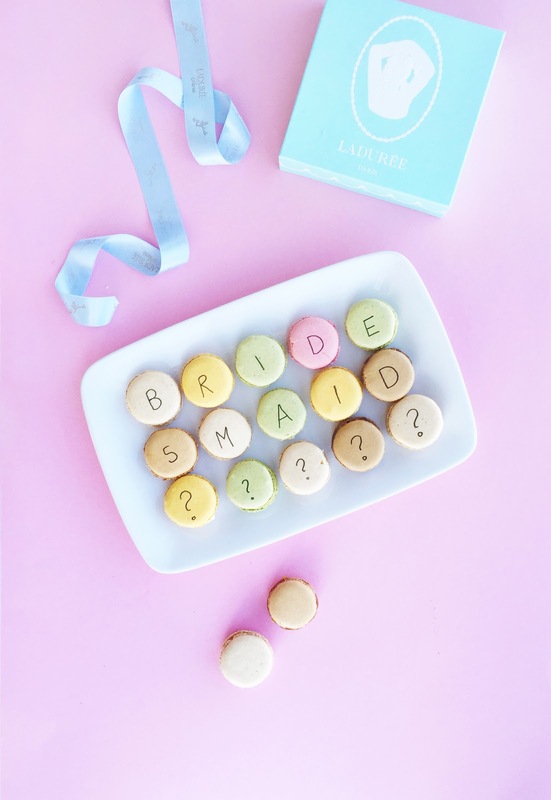 DIY Bridesmaid Proposal Macaron Message! 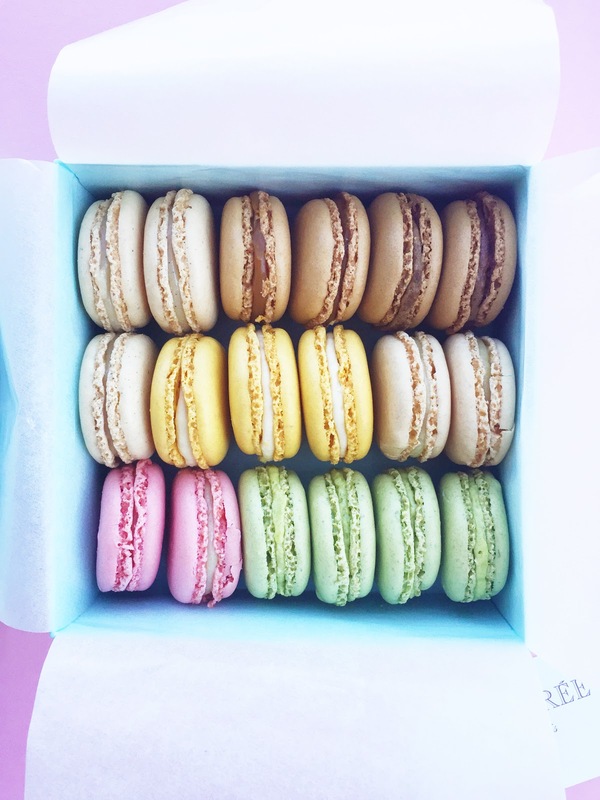 First off, I'm so curious: Can you get macarons where you live? We're kind of spoiled here in New York City. 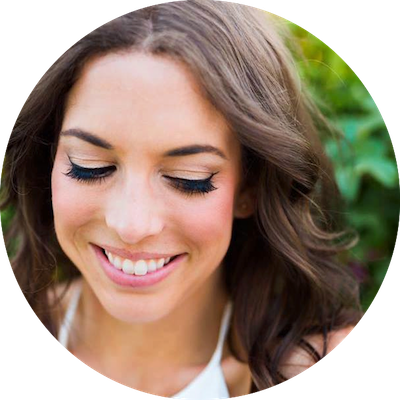 And I know LA has killer macaron because Leah from Freutcake took me to Bottega Louie during my last visit and geeeeeez was it amazing—she knows all of the best places! So here's the deal with this easy wedding DIY project: You're going to buy some food coloring pens, like these Gourmet Writer Food Decorator Pens, then you're going to carefully unbox your macarons and write B-R-I-D-E-S-M-A-I-D-? 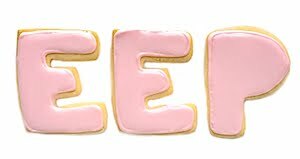 on top, one letter per cookie. Got it? 1. Carefully unpack the macarons from their packaging. They're fragile! 2. With your food coloring pen, write 1 letter on each macaron to spell out B-R-I-D-E-S-M-A-I-D-?-? 3. Return the macarons to their packaging or arrange on a platter, making sure your mate can actually see the letters and what they spell out? 4. Go get that girl!